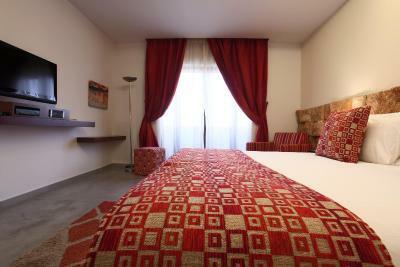 Lock in a great price for Monoberge Hotel – rated 8.7 by recent guests! 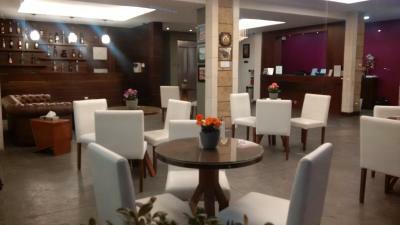 Great location close to everything, nice breakfast, very lovely staff, clean and spacious rooms! 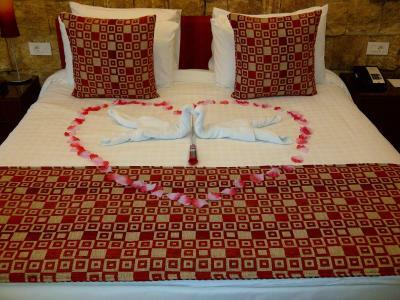 I really liked the quality of the mattress and covers. The staff was extremely friendly at all times. 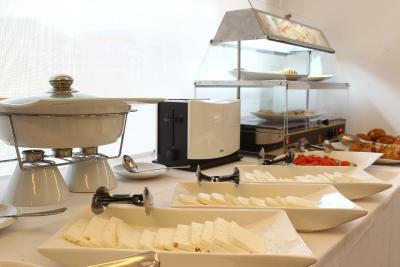 I really liked the continental breakfast. 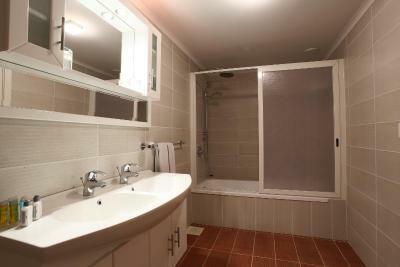 And I liked that there was a bathtub option and not just a regular shower. Everything was amazing... 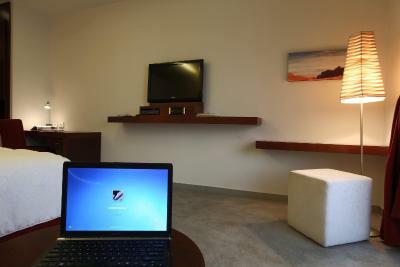 Location is perfect, room is amazing ! Definitly recommend it. 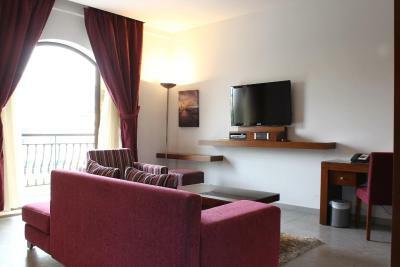 It is one of best Location you could find it in Byblos. The staff are nice and helpful. 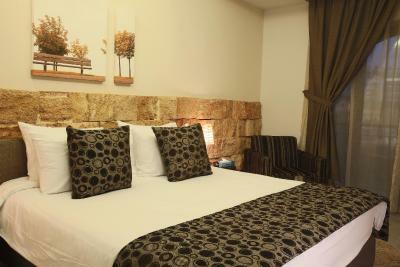 It is not that luxury hotel but I loved so much the old historical rocks in the bedroom. I can say you can find quite room in this hotel. I would book it again for next trip to Byblos. Excellent Place to Stay. 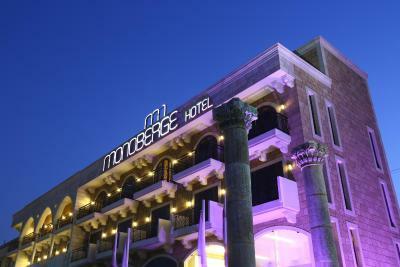 Every time we decide to spend the night at Byblos, we stay at Monoberge. We have been doing so for 10 years and will continue to do so. Thanks! 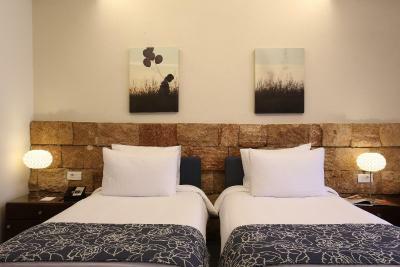 Staff is really nice, place is quite clean, the location is very close to the highway, yet the windows work wonderfully in keep the room quiet. 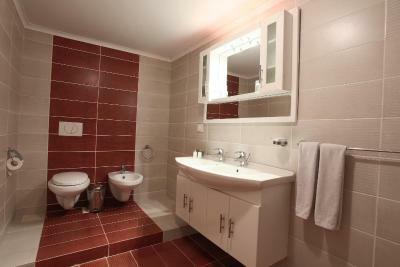 Excellent & clean location! Professional staff ! The best place ever! 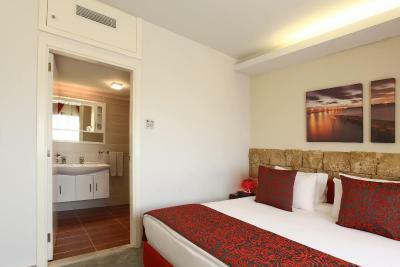 Monoberge Hotel This rating is a reflection of how the property compares to the industry standard when it comes to price, facilities and services available. It's based on a self-evaluation by the property. Use this rating to help choose your stay! Monoberge Byblos occupies one of the oldest human settlements in the world. 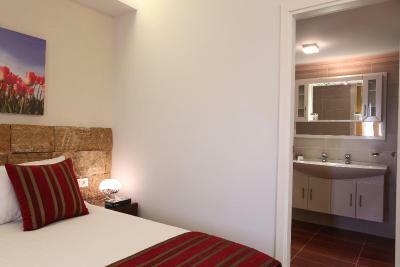 It is a small guesthouse a short walk from the Byblos seafront. 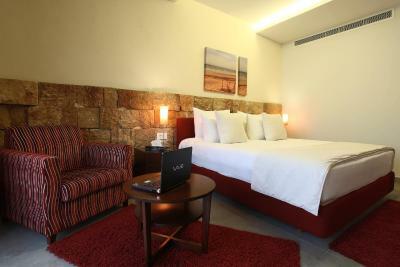 All guest rooms at Monoberge Byblos feature handmade furniture, air conditioning, king-size beds and flat-screen TV. 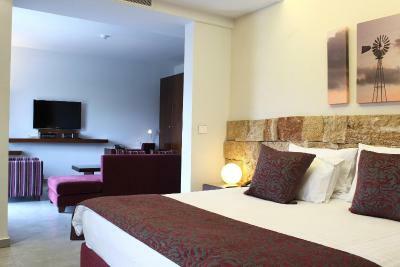 Every room has a balcony offering views of the ancient port, the Mediterranean Sea or the mountains. 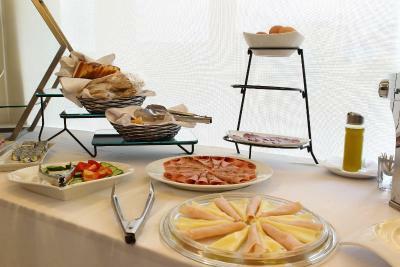 A fresh breakfast is served each morning in the Monoberge cafe. 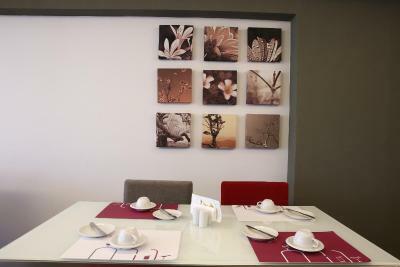 There are also many restaurants and bars just a short walk of the guesthouse. 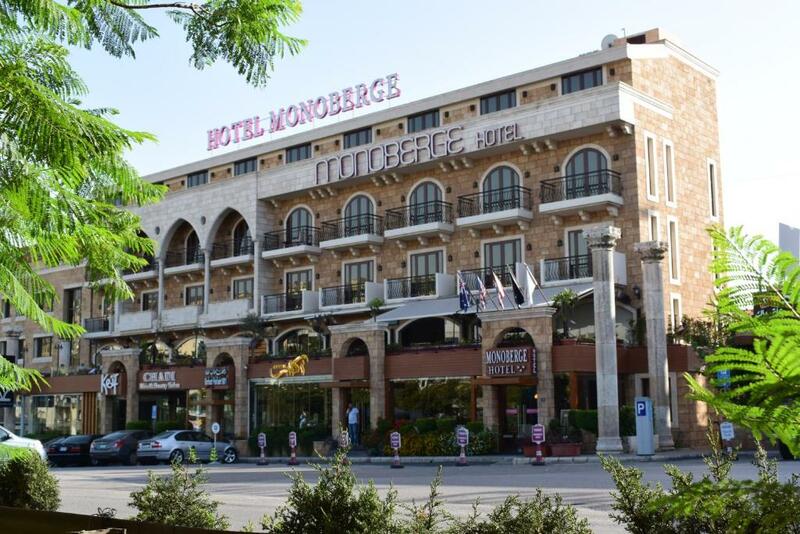 Hotel Monoberge Byblos features full conference facilities. It's just a short walk from the shopping and business districts, and there are 3 beaches within one mile of the guesthouse. 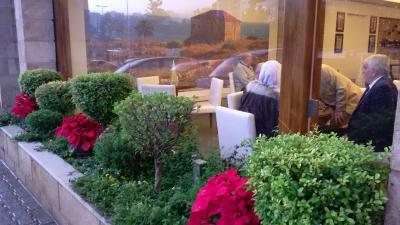 Monoberge Byblos is a 45 minute drive from Beirut. Free on-site parking is available. 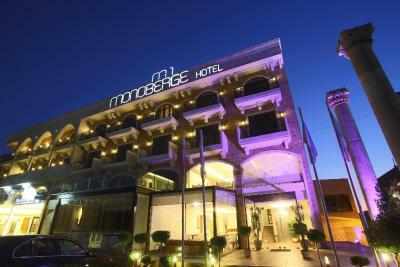 When would you like to stay at Monoberge Hotel? 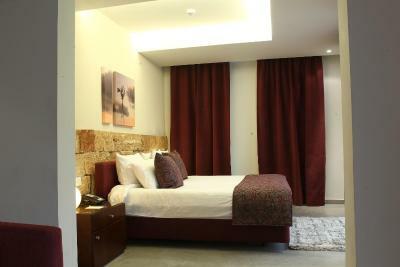 Featuring a balcony with spacious view, this air-conditioned room is elegantly decorated with handmade furniture. 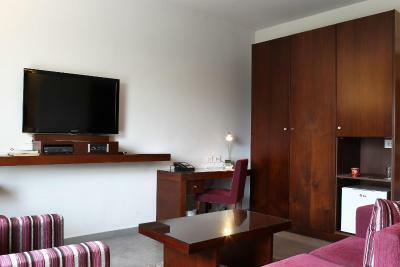 It features a flat-screen TV with satellite channels, in-room safe box and mini-bar. 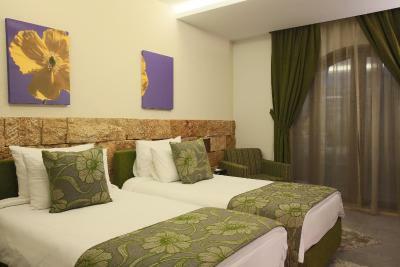 It offers free WiFi, media-hub, working desk and full guest’s amenities. 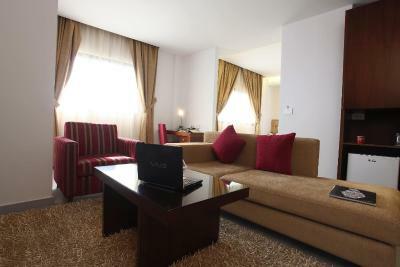 Featuring 2 balconies with spacious view, this air-conditioned Suite is elegantly decorated with handmade furniture. 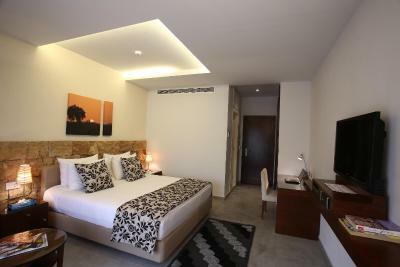 It features a separated sitting area with sofa bed, a flat-screen TV with satellite channels, in-room safe box and mini-bar. 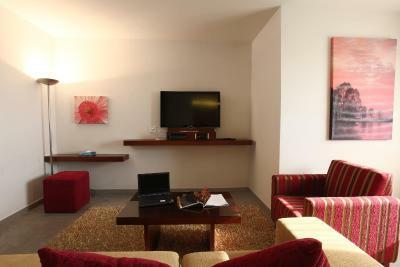 It offers free WiFi, media-hub, working desk and full guest’s amenities. It also includes an iPod docking station and a mini-bar. 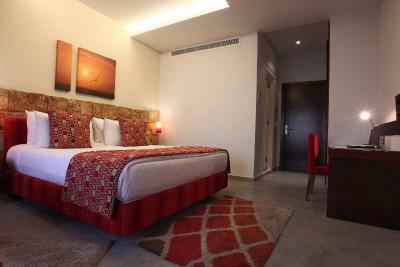 Featuring spacious view with 2 windows overlooking the old city, this air-conditioned Suite is elegantly decorated with handmade furniture. 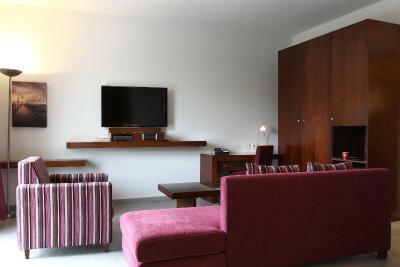 It features a separated sitting area with sofa bed, a flat-screen TV with satellite channels, in-room safe box and mini-bar. 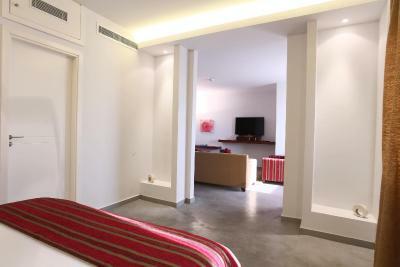 It offers free WiFi, media-hub, working desk and full guest’s amenities. The maximum capacity of extra beds is 2 only. 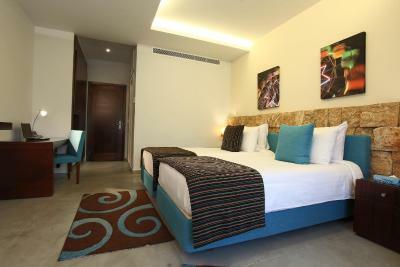 Featuring a balcony with spacious view, this air-conditioned room is elegantly decorated with handmade furniture. 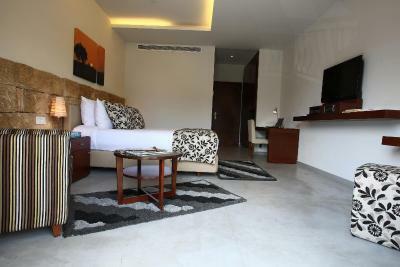 It features a flat-screen TV with satellite channels, in-room safe box and mini-bar. 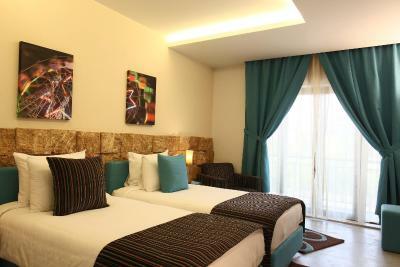 It offers free Wi-Fi, media-hub, working desk and full guest’s amenities. 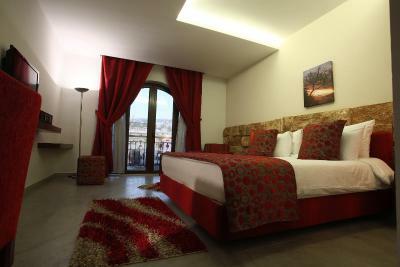 Featuring spacious view with 2 windows overlooking the old city, this air-conditioned Suite is elegantly decorated with handmade furniture. 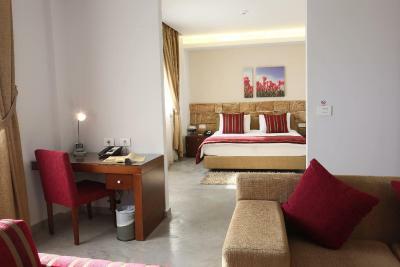 It features a separated sitting area with sofa bed, a flat-screen TV with satellite channels, in-room safe box and mini-bar. 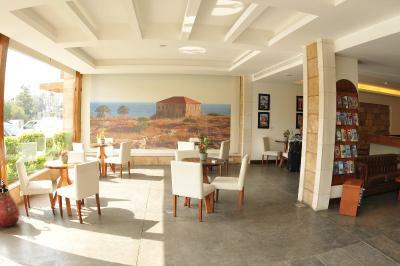 It offers free Wi-Fi, media-hub, working desk and full guest’s amenities. 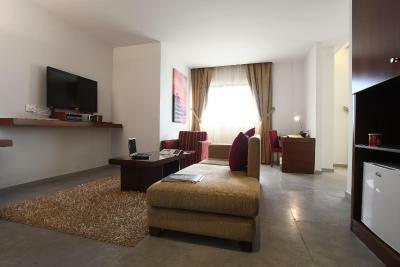 Featuring 2 balconies with spacious view, this air-conditioned Suite is elegantly decorated with handmade furniture. 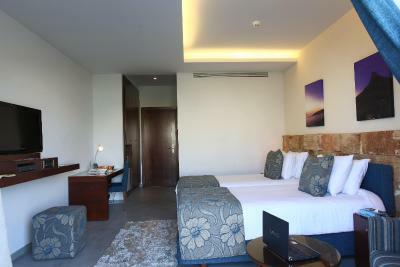 It features a separated sitting area with sofa bed, a flat-screen TV with satellite channels, in-room safe box and mini-bar. 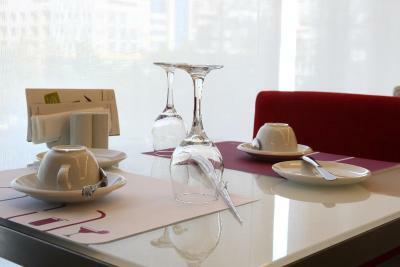 It offers free Wi-Fi, media-hub, working desk and full guest’s amenities. 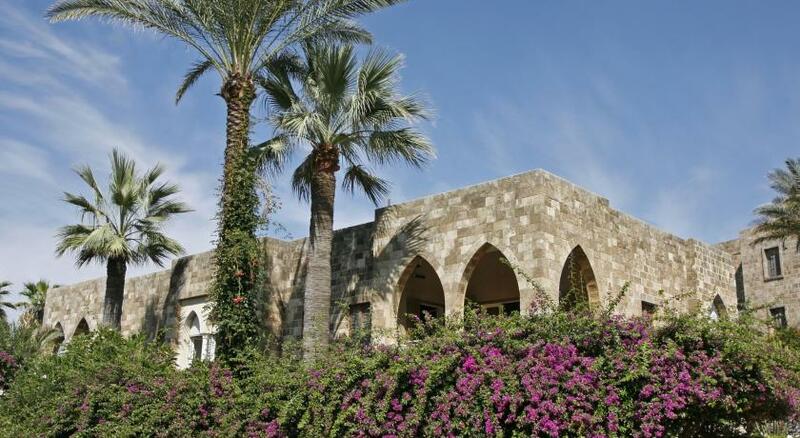 Located at a 45-minute drive from Beirut in the historic city of Byblos, Monoberge offers you an unforgettable stopover in this romantic and fascinating locality. 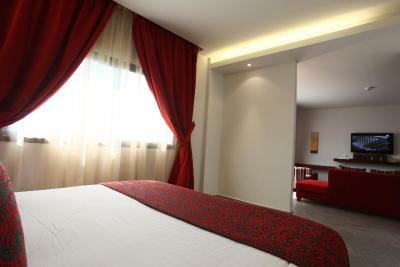 The hotel is a short walking distance from the city center and its famous attractions. No matter whether your trip to Lebanon is for business or pleasure you'll be able to escape to the tranquility of a unique and comfortable space, a place you can call your own and with wireless internet in every corner of the you're always in touch with those back home.The entire hotel is united by a warm atmosphere that can be felt in throughout, from the suites and rooms as well as the small lobby lounge/café to the meeting/banquet room and the diet center. 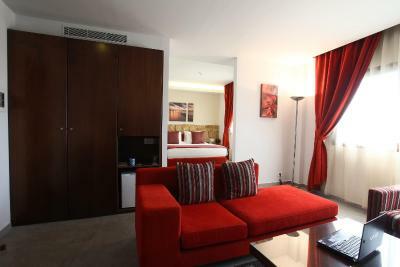 One thing is certain, for a three-star hotel, you are sure to enjoy the real look with a high level of service to match.The hotel is only a short walking distance from the city center and its famous ancient sites such as the Crusader Castle. Take your time to walk through the lanes of the old souks and experience both modern and ancient beauty in the areas around the port. 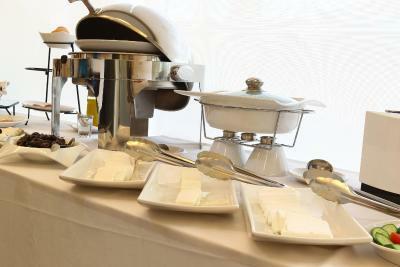 For an amazing culinary experience ranging from traditional Lebanese mezzes to continental dishes. House Rules Monoberge Hotel takes special requests – add in the next step! Free! One child under 9 years stays free of charge in a crib. Monoberge Hotel accepts these cards and reserves the right to temporarily hold an amount prior to arrival. The hotel can arrange an airport shuttle for an additional fee. Please contact the hotel 24 hours in advance if you wish to use this service. Contact details can be found in the booking confirmation. Next to the main road. Windows blocked out all the sound. + super friendly staff; amazing, especially Joe (also great tour guide) and Mona (also nurse when you fall over) + buffet breakfast was nice + rooms were clean, comfortable and very quiet ...could not really ask for much more! 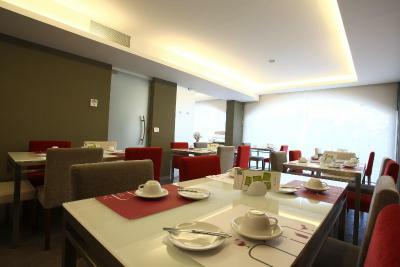 easy booking and check in and out, good location, clean, quiet, tasty breakfast, parking place, good price. all in all, good value for money. This is simply a beautiful hotel. Most of the rooms look towards the impressive mountains, while the hallway faces the ocean. The rooms are beautifully appointed, the beds are super comfortable, and I love the luxury of having a bathtub. 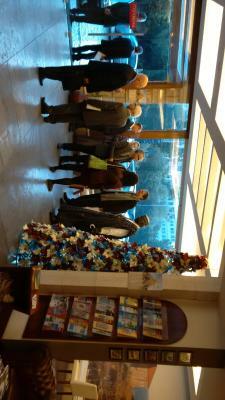 In addition, the breakfast was absolutely excellent! The staff were friendly and helpful, and the property is within walking distance of both the ocean and the beautiful old souk. Wish I could have stayed here longer! The room . The customer service. 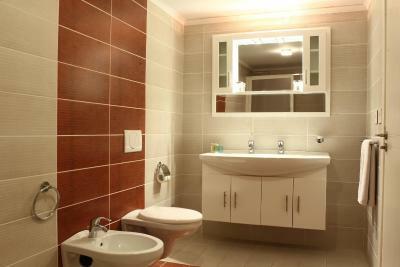 The cleanliness could be improved; however once a complaint was made, the staff acted upon it at once to fix it. Breakfast couls use some improvement. Room was clean and very comfortable. Breakfast was excellent. Staff, especially Christine, we're supremely friendly, helpful and lovely.